Wet weather and low-light needn't dampen your resolve to get that run in. You zip up this Vizocity Jacket and head on into it. 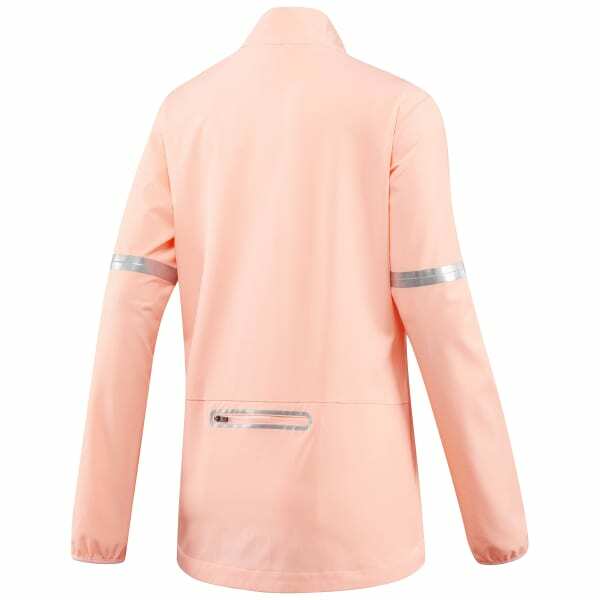 With a durable water repellent finish keeping out the wet, you just may push that run past dusk, letting this jacket’s silver tape safely reflect your dedicated position.